Steven Kasher Gallery is pleased to present an exhibition of more than 25 vintage photographs by Bob Colacello of Andy Warhol and his inner circle in the 1970s and 80s. This is the second exhibition of Colacello’s photographs at Steven Kasher Gallery. Taken when Colacello was the editor of Warhol’s magazine Interview from 1971 – 1983, the images chronicle Andy Warhol as he redefined modern art, provoked controversy, seduced the rich and famous and led the avant-garde. 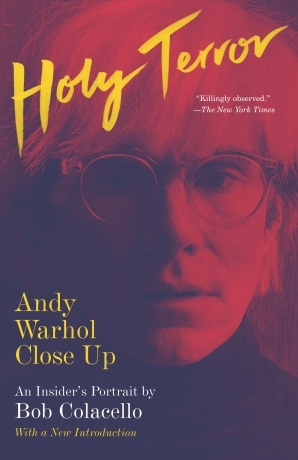 The exhibition is mounted in conjunction with the rerelease of Bob Colacello’s Holy Terror: Andy Warhol Close Up (Vintage Books/Knopf DoubleDay 2014). Bob Colacello spent a decade by Warhol’s side as employee, collaborator, wingman, and confidante. The photographs in the exhibition portray Warhol at work and at play, Warhol’s circle of associates, the Factory office, parties and openings around the world, and quiet moments where the mysterious artist was at his most honest and vulnerable. Colacello gives us a riveting portrait of this extraordinary man: brilliant, controlling, shy, insecure, and immeasurably influential. When Holy Terror was first published in 1990, it was hailed as the best of the Warhol accounts. Now, some two decades later, this portrayal retains its hold on readers—as does Andy’s timeless power to fascinate, galvanize, and move us. 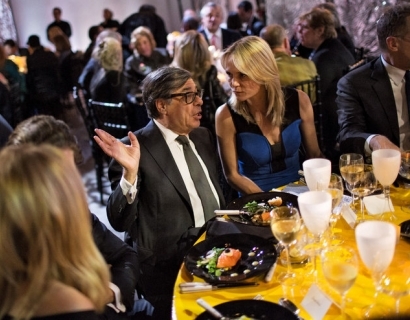 Bob Colacello, a longtime special correspondent for Vanity Fair, was born in Brooklyn, raised on Long Island, and educated at Georgetown University’s School of Foreign Service and Columbia University’s Graduate School of the Arts. 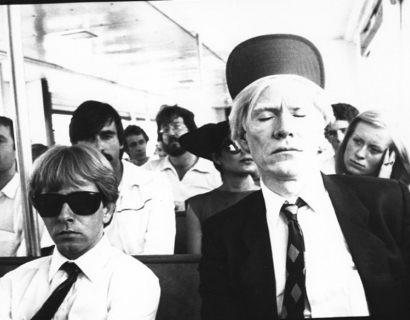 His photographs were included in the seminal 1981 exhibition, “New York/New Wave” at P.S.1, and have also been shown at Steven Kasher Gallery, Mary Boone Gallery, the Whitney Museum, the Andy Warhol Museum, the Guggenheim Museum in Bilbao, the Art Gallery of Ontario, the Kunsthalle in Vienna, and the Barbican. The first volume of his Reagan biography, Ronnie and Nancy: Their Path To the White House, 1911-1980 was published in 2004 and a collection of his photographs of the Factory years, Bob Colacello’s Out, was published in 2007. 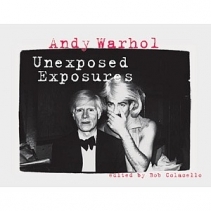 Bob Colacello: Holy Terror: Photographs from Inside Warhol’s World will be on view from April 24 – May 24, 2014. Steven Kasher Gallery is located at 521 W. 23rd St., New York, NY 10011. Gallery hours are Tuesday through Saturday, 11 AM to 6 PM. For more information about the exhibition and all other general inquiries, please contact Maya Piergies, 212 966 3978, maya@stevenkasher.com.